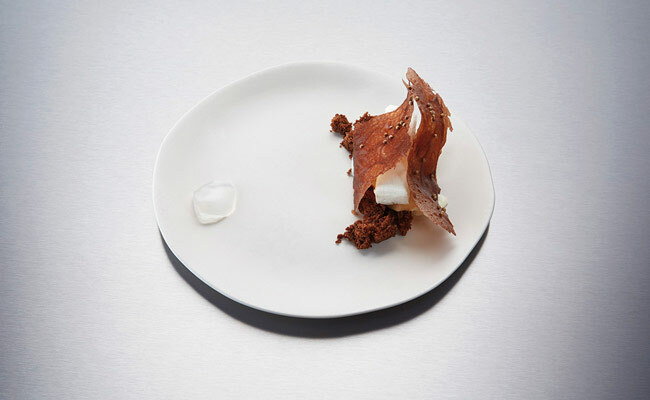 It is increasingly more common to find ideas that temporarily bring distant and interesting cuisine to a restaurant. This is a great way to bring together gastronomic cultures or trends of all kinds and, without a doubt, if we had to highlight a scenario where this spectacular initiative is seen, this is the Austrian restaurant Ikarus. In it, and each month for more than 10 years, there has been an exclusive menu designed by an international chef who causes a stir. In this way, this attractive restaurant, which also stands out for its original location (the cupola of Hangar-7 that Red Bull owns at Salzburg airport), has established itself as an exceptional vantage point from which to observe the most heterogeneous trends in cuisine from all over the world, also as far as desserts are concerned. There is nothing like proving it by reviewing some of the sweet dishes that have been seen in the restaurant in 2016. A year in which various guest chefs have passed though the restaurant such as the Greek chef Dimitris Pamporis (restaurant Apocalypsis in the Grikos Bay of the island of Patmos) , Poul Andrias Ziska (KOKS in Torshavn, Faroe Islands), Dominique Crenn (Atelier Crenn in San Francisco), Sang-Hoon Degeimbre (L’Air du Temps in Belgium), Prin Polsuk (Nahm in Thailand), Alexandre Couillon Marine in France), Syrco Bakker (Pure C in Holland), Vladimir Mukhin (White Rabbit in Russia), Christian Bau (Viktor’s Fine Dining in Germany) and Søren Selin (AOC in Denmark). A luxury roster that was also enriched with a spectacular menu-tribute made to Eckart Witzigmann, alma mater of Ikarus and the first chef to get three Michelin stars in Germany. 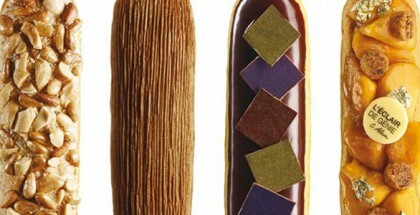 In just five years, the French chef based in San Francisco, Dominique Crenn, has achieved a more than notable media and critical repercussion thanks to her creations at Atelier Crenn and her victory in The Iron Chef competition. This chef also stands out for becoming the first woman to receive two Michelin stars in the United States in 2012. And she has achieved this with a personal and sophisticated cuisine which does not shy away from experimentation as long as the diner is surprised by new sensations. The story of Sang-Hoon is surprising. Of Korean origin, he was adopted alongside his brother by a Belgian family when he was only five years old. Before heading his own restaurant, his experience focused on the world of wine, serving as a sommelier in reputed restaurants in Belgium. That’s why, when he gets the opportunity to become the chef at L’Air du Temps in 1997, he does so with little experience in cuisine. 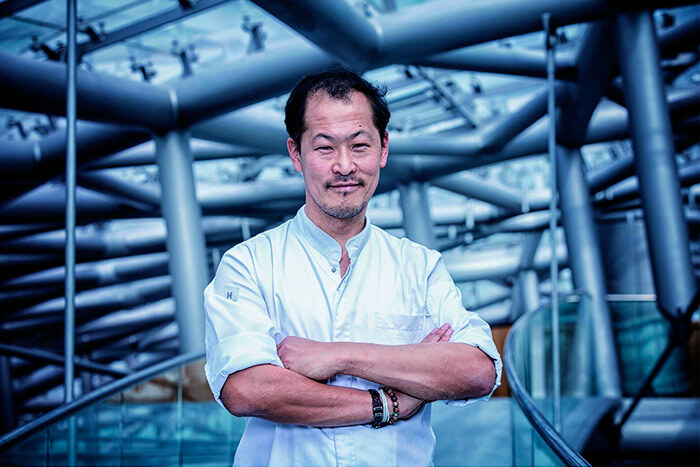 Sang-Hoon currently has two Michelin stars and has received the title of 2016 best chef according to the prestigious Belgian Gault et Milleau. His cuisine is not only based on surprising associations, but on a commitment to the products of the area and a determined commitment to technological advances. 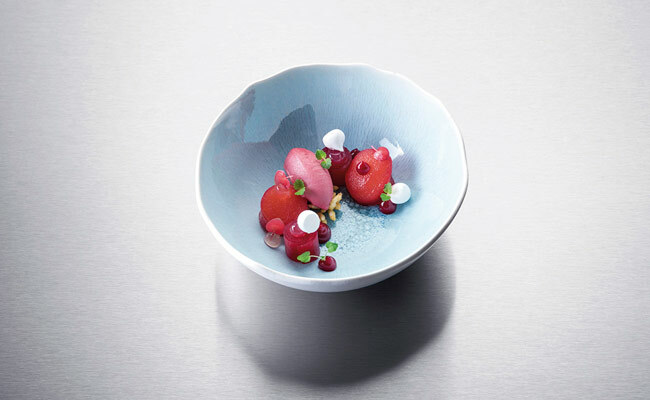 ‘Technology can provoke emotions,’ he says while, for example, incorporating ultrasound to filter the taste molecules that are within his ingredients. All this without losing sight of a special care for finishes and minimalist presentations. 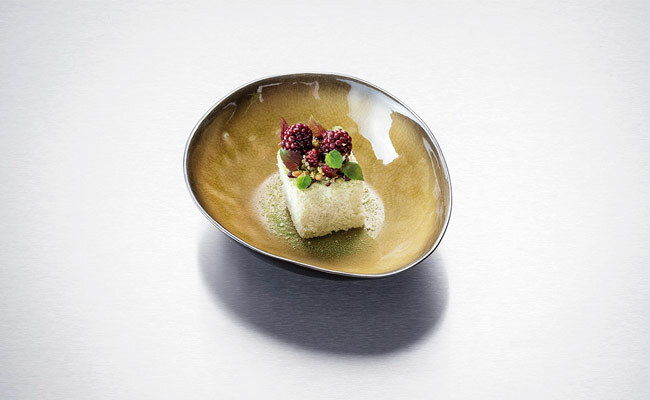 How do you celebrate the 75th anniversary of a legend of world cuisine such as Eckart Witzigmann, alma mater of the Ikarus restaurant, the first German to obtain three Michelin stars and Chef of the Century by Gault et Milleau? 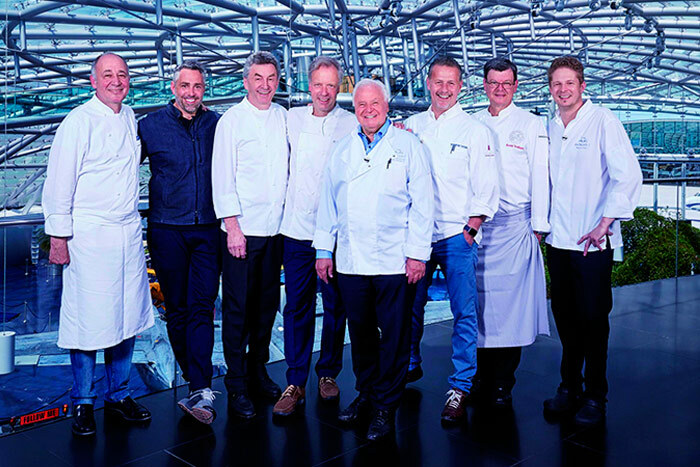 Nothing better than to do it by organizing a spectacular menu elaborated by several of the prestigious chefs linked to Witzigmann’s past and present. Marc Haeberlin (son of Paul Haeberlin, one of the great masters of the German chef), Roland Trettl, Hans Haas, Bobby Bräuer, Karlheinz Hauser, Harald Wohlfahrt and Martin Klein, head chef at Ikarus. All of them great chefs who have trained in the restaurants of Witzifmann. 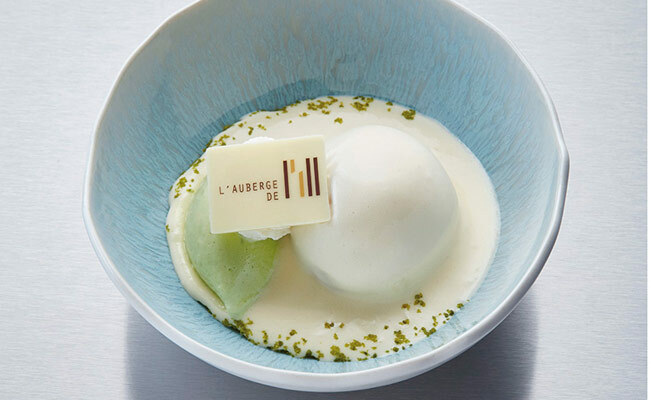 The French chef Marc Haeberlin, three-starred chef of the l’Auberge de l’Ill, in Illhaeusern, very close to the German border, was in charge of the menu’s dessert. 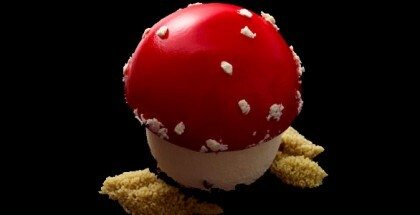 As expected, the restaurant Ikarus has rushed to confirm that Russia is waking up at a gastronomic level. 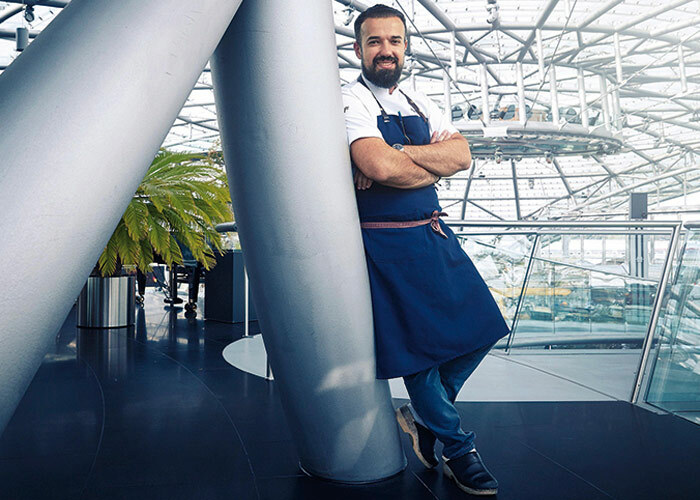 One of the chefs who heads this awakening of haute cuisine is Vladimir Mukhin, who has managed to get his restaurant White Rabbit among the top 20 restaurants according to the 50 Best Restaurants ranking. His cuisine is a compendium of Russian influences and a clear commitment to the pursuit of pleasure and to surprise the diner using roots and tradition. This is why in White Rabbit a motto is strongly heard: ‘traditions are lasting, innovations are boundless’. Among their most celebrated desserts we find the Abkhaz persimmon with a creamy sheep’s cheese mousse and a wafer-thin slice of pastirma. Mukhin’s restaurant, located 16 stories high and with spectacular views of Moscow, is decorated with all sorts of motifs drawn from Alice in Wonderland: fun drawings of animals, extravagant utensils, and unique Rococo style furniture. Proof of the restaurant’s commitment to imagination and playfulness.